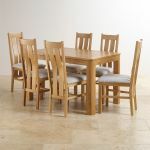 This stylish dining set is a cheerful addition to modern family homes. 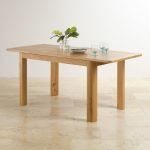 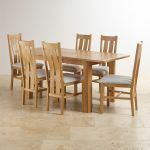 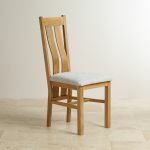 It pairs our Romsey table with 6 Arch Back chairs for sunny contemporary style. 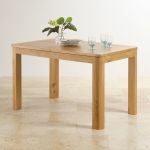 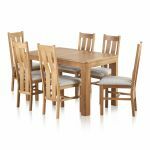 Crafted from 100% solid oak, it will stand the test of time, and the protective natural finish helps to nourish the wood and emphasise the individual wood grain patterns. 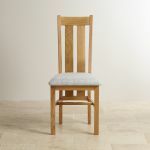 The warm tones of the oak perfectly complement the cosy plain grey fabric upholstered seat pads. 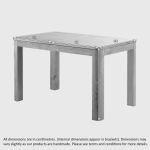 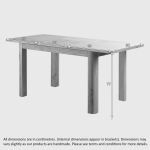 The Romsey dining table offers excellent flexibility, thanks to its hidden extending mechanism which accommodates extra diners when required. 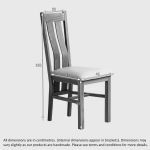 The Arch Back chairs have a simple shape which offers lumbar support, and coordinates with the rounded corners of the dining table. 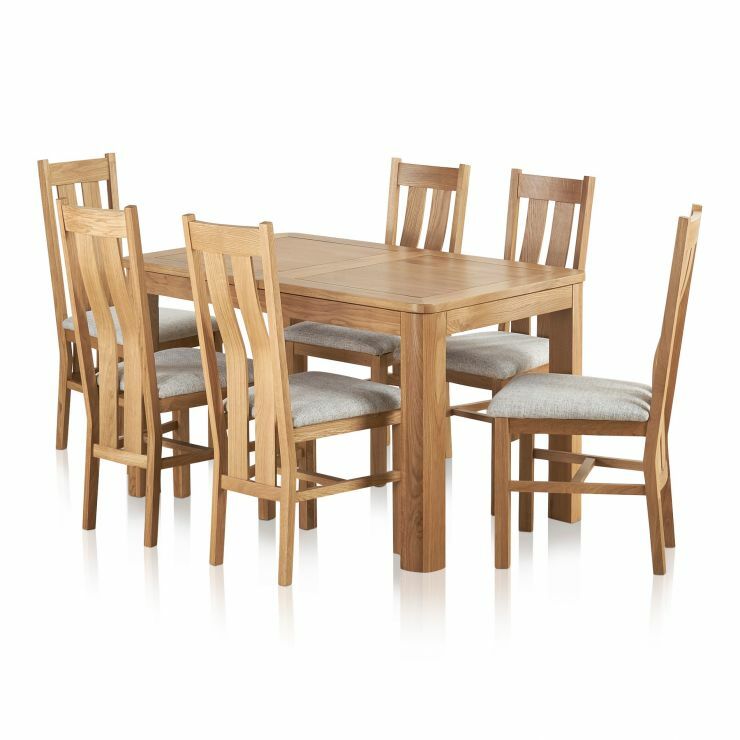 Don't forget, we offer free delivery, straight to your dining room as standard, so browse all our matching dining rooms pieces today!